Industrial facilities like factories, warehouses and other types of shops that see a lot of heavy traffic and park a lot of heavy-duty equipment put very heavy demands on the asphalt and concrete underneath of them. In fact, it requires special expertise to put down asphalt or concrete paving for industrial facilities. Here at Espina Paving, we specialize in just these kinds of heavy-impact, high-load-bearing paving projects. We understand that you need the strongest, toughest, most durable pavement at the best price, so contact us about our asphalt paving and concrete services for industrial facilities. Industrial facilities have paving needs that come closer to those of highways and other oft-traveled roads. And yet, the requirements for strong industrial asphalt paving and concrete are still unique. The Espina paving team has the special expertise and understanding necessary to accommodate these unique load requirements. A roadway needs to be strong and stable, but the traffic moving over it is usually in motion. The heavy loads move at relatively stable rates and nothing stays parked there for very long. 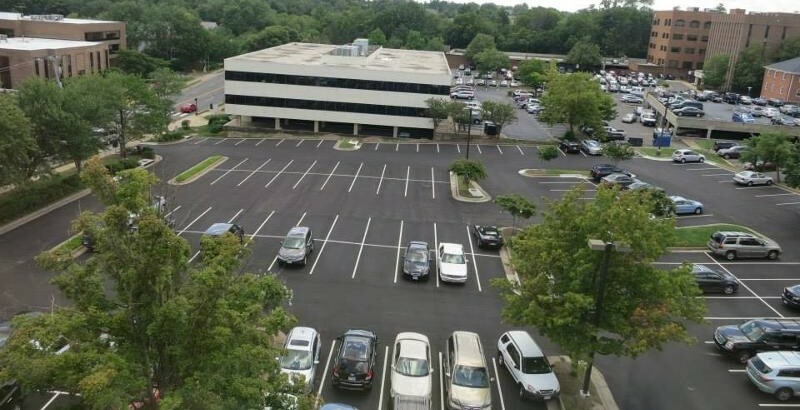 A regular parking lot for a store, church, apartment complex, etc. needs to withstand constant slow-moving and parking traffic, but the loads parked on the parking lot are those of “lighter” personal and family vehicles. In factories and industrial facilities, however, the concrete or asphalt needs to stand up to almost constant heavy pressure from heavy industrial equipment, parked heavy vehicles. So the requirements for the underlying sub base, the asphalt or the concrete are significantly different. Espina Paving’s asphalt paving and concrete services for industrial facilities understands that stationary industrial equipment, heavy-lifting equipment parking areas, storage areas and the like absolutely require a doubly-durable, stable and flat paved surface upon which to park and do their jobs for prolonged periods of time. If you need to have an industrial area paved, Espina Paving will come out to your site and do a thorough evaluation and discuss your needs with you, in depth. We will fully inspect the current pavement, survey the environmental surroundings, drainage and any other aspects that could affect the foundations of the paving job. We can also assess damage and make repairs to existing paved areas. Espina Paving stays constantly in tune to the latest paving materials and technologies so that we can provide the most cost-effective, durable and advance solutions for our industrial paving customers. Working around your production and business schedule is also important for us. Because a lot of industries work 24/7, we do too. We work with you to schedule our asphalt paving and concrete services for industrial facilities so they cause as little downtime and inconvenience for your business as possible. We are ready to pave the way for success at your industrial site! 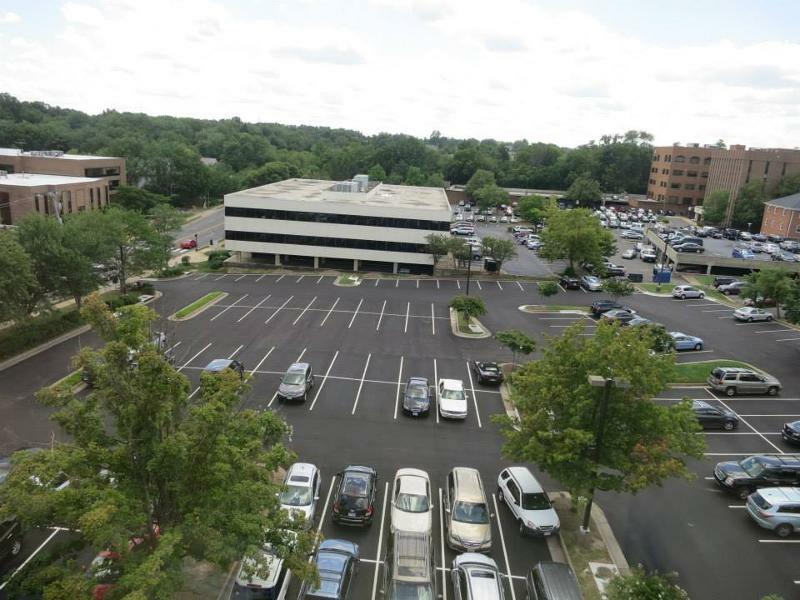 Contact Espina Paving about our asphalt paving and concrete services for industrial facilities at (703) 491-9100 today! With Espina Paving being a family business, I have been exposed to the construction industry my whole life. I graduated college on a Friday, and was building roads on Monday. Having served many functions within the company, I am currently overseeing our day to day operations. What Does Snow Do to Asphalt? Why Are There Puddles on My Parking Lot? Espina Paving, Inc. Copyright © 2015 All rights reserved. Design by Affordable Web Design and Marketing, Inc.